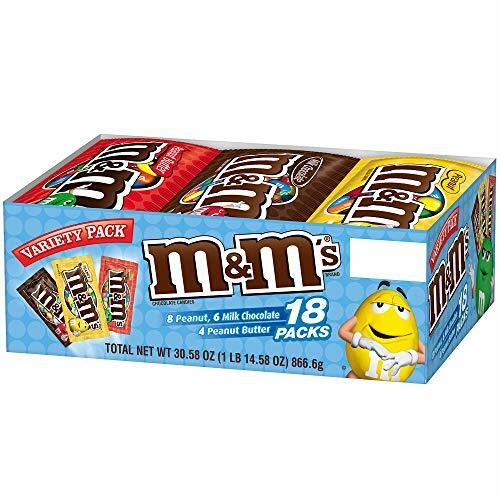 M&M'S Variety Pack Singles Size 18-Count Box - $9.47 Shipped! Only $0.53 Ea! M&M’S Variety Pack Singles Size 18-Count Box – $9.47 Shipped! Only $0.53 Ea! Score a GREAT DEAL on the M&M’S Variety Pack Chocolate Candy Singles Size 30.58-Ounce 18-Count Box today for only $9.47 After you clip the 15% eCoupon and Subscribe & Save from Amazon! You will get FREE Shipping if you are a Prime member! If you are not an Amazon Prime member you can grab a FREE 30-Day Trial HERE! Get the all the Details of this deal below! Free shipping with no minimums! Remember, there is no obligation to Subscribe & Save. Just go into your Amazon acct to cancel after you receive your first order! Amazon will even remind you! Can’t choose between Peanut M&M’S Candy, M&M’S Milk Chocolate Candy and Peanut Butter M&M’S Candy? Get everyone’s favorites with this M&M’S Chocolate Variety Pack. Perfect for gift baskets, movie theater candy, party treats or sharing with friends and coworkers. M&M’S Chocolate Candies also are a great way to add colorful fun to your favorite desserts. Make everyday celebrations more delicious with M&M’S Variety Packs. 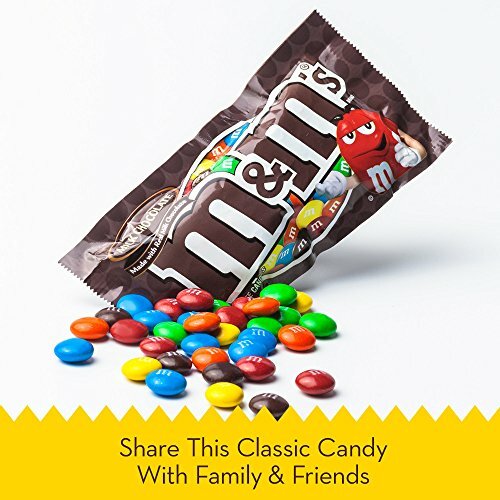 Don’t miss this deal at Amazon Today on the M&M’S Variety Pack Chocolate Candy Singles Size 30.58-Ounce 18-Count Box for only $9.47 After you clip the 15% eCoupon and Subscribe & Save! Hamilton Beach Eclectrics All-Metal Stand Mixer – $139.99! Free Shipping! Quaker Chewy Granola Bars and Dipps Variety Pack, 58 Count ONLY $9.38 Shipped!